2 Combine Hellmann's® or Best Foods® Real Mayonnaise, thyme, basil, paprika and garlic in small bowl. Spread mixture on chicken, then arrange on shallow baking pan. 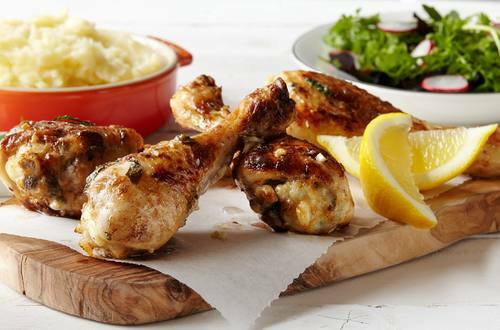 3 Bake chicken until chicken is thoroughly cooked, about 25 minutes, turning occasionally. Serve, if desired, with a green salad and wedge of lemon.